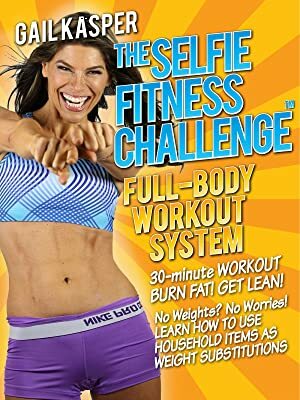 Join TV Host, Fitness/Nutrition Trainer Gail Kasper for the Selfie Fitness Challenge Full-Body Workout System. This high-intensity cardio & muscle building 30-minute routine burns calories, increases metabolism & gets results. You will also learn what household items can be substituted for weights & how this program helped Gail manage her own food issues to find balance and ultimate success. I started this workout program having spent years lifting, with additional cardio on the treadmill. This program, by far, pushed me to a new limit. With an upper-body focus with cardio - my metabolism was going for the rest of the day and I could feel my body transforming. I have been using the system for months now, have slimmed down and see increased muscle tone. I would recommend that you either have weights to complement the program or make certain you have household items in the house that you can use as an alternative. Very good program; however, if you are new to working out, modify and then increase your efforts.